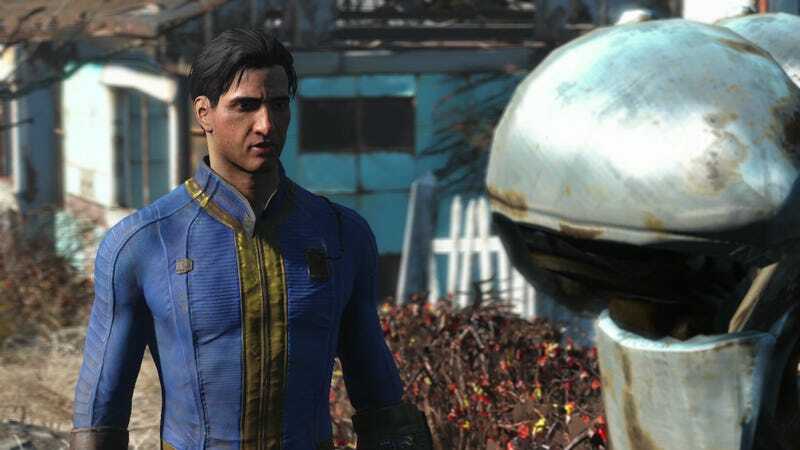 Fallout 4 may use the same engine as Skyrim, but that engine has changed drastically over the years. This morning, news headlines and YouTube videos across the internet declared that Bethesda will not change engines for the upcoming games Starfield and The Elder Scrolls VI, setting off a wave of outrage that’s become oh-so-common in the world of video games. This story, however, is misleading, based mostly on speculation and widespread lack understanding of what a “game engine” actually is. For Fallout 76 we have changed a lot. The game uses a new renderer, a new lighting system and a new system for the landscape generation. For Starfield even more of it changes. And for The Elder Scrolls VI, out there on the horizon even more. We like our editor. It allows us to create worlds really fast and the modders know it really well. There are some elementary ways we create our games and that will continue because that lets us be efficient and we think it works best. Although the quote itself isn’t particularly controversial, its sudden re-discovery has led to blazing takes everywhere. One article, on the website Push Square, has thousands of shares on Reddit and Facebook with its declaration that “Bethesda Will Keep the Same Fundamental Game Engine for The Elder Scrolls VI, Starfield.” YongYea, a YouTube provocateur, also talked about this issue to his hundreds of thousands of subscribers. “Fallout 76 in particular highlights more than ever just how utterly inefficient this game engine is with its inoptimal performance and general lackluster graphical fidelity compared to other titles of its time,” he said. It’s true that Bethesda’s games have long been criticized for their game-breaking bugs and inability to reach the beautiful graphical standards of other high-end games, but there might be many reasons for that. One of those reasons might be their ambition—few other games offer as much world interaction as Skyrim or Fallout 4. Perhaps another reason is Bethesda’s internal processes, or programming guidelines, or development timeline, or even some busted line of code buried somewhere in a file that nobody has touched since 2004. It’s hard to say. Blaming Bethesda’s “game engine” is misguided, however, because the word “engine” itself is a misnomer. An engine isn’t a single program or piece of technology—it’s a collection of software and tools that are changing constantly. To say that Starfield and Fallout 76 are using the “same engine” because they might share an editor and other common traits is like saying Indian and Chinese meals are identical because they both feature chicken and rice. What we see on the outside, like a game’s graphical style, its animation system, and its physics, can be changed in all sorts of ways without switching to a new engine. To understand why this trend is so silly, let’s run a quick refresher on what a video game engine actually is. Say you’ve just made Super Plumber Adventure. It sold a couple of copies, and now you want to make a sequel, which you know will share many of the same traits. You still want your plumber to run from left to right, you still want mushrooms to make him bigger, and you still want coins to disappear when he collects them. Rather than write new code and create new animations for all of these things, you might take what you built for the first game and reuse it, bundling all those features together as a physics system. Combine those physics with some other systems—like a level editor and a memory management tool—and you’ve got an engine, a collection of software that you can use from game to game in order to avoid redundant work. Super Plumber Adventure 2 will hopefully take a lot less time now that you’ve already got so much done. When we use terms like “Unreal” or “Frostbite,” that’s what we’re talking about—a framework for making games. These are not immutable creations, and in fact, a game’s programmers will alter an engine’s features constantly based on what suits their needs. (Most game studios have tools programmers who dedicate their entire jobs to working on these features.) Often, fans will associate certain engines with specific graphical styles, but that can be misleading, because two games can run on the same engine but have very different art direction. Both the retro-styled Octopath Traveler and realistic-looking Days Gone use Unreal Engine 4. Both the sports series FIFA and the upcoming shared-world shooter Anthem use Frostbite. Oftentimes, aspects of an engine will be in development alongside the game. In other words, Bethesda’s engine in 2018 looks drastically different than it did in 2013, and by the time The Elder Scrolls VI comes out (2024? ), it will look like something else entirely. The editor might be similar—as Howard implies in that quote—but that’s just one component of an engine that has been changing for years and years. This is not uncommon, by the way. As one game developer pointed out to me this morning, even the ubiquitous Unreal Engine 4 is still built on a foundation that started with the first Unreal, which came out in 1998. When I broke the news in June that Fallout 76 was an online survival game, one person familiar with its development told me that Bethesda’s engineers had spent years adding multiplayer capabilities to the engine, which was a challenging and complicating endeavor that required rewriting a whole lot of code. On the outside, Fallout 76 might look similar to Fallout 4, but peeking into its guts would tell a different story. To say they use the same engine might technically be accurate, but it’s misleading. The concept of a game engine has become a bugbear for fans, and with Bethesda’s longrunning reputation for nasty glitches, it’s always tempting to find factors to blame. Fans and pundits should absolutely criticize games like Fallout 76 for their ridiculous bugs and graphical failings. But today’s controversy—and the notion that the next-gen games Starfield and The Elder Scrolls VI would use the same “engine” as today’s games—is misguided at best.